I remember a book I got as a child the Mother Goose treasury of rhymes for kids. It was a beautifully illustrated hardcover book, I’ve actually still got it and it is now on one of the shelves my children’s bedrooms. The cover not so hardcover well worn maybe but those rhymes included were some of my favourites. 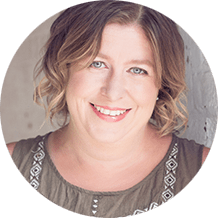 I love singing and saying those rhymes with my kids and when they were younger I would sit and craft with them creating lambs and cockleshells as we went through the book. 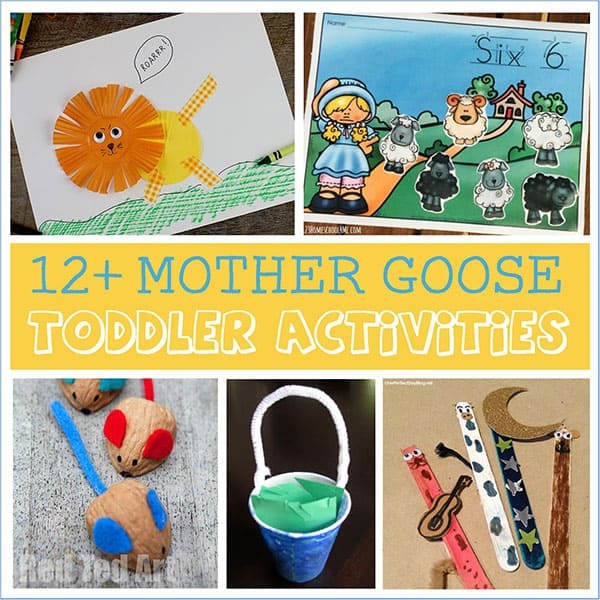 With the importance of rhymes in the development of language for babies and toddlers I’ve collected together some fantastic Mother Goose crafts for toddlers which are ideal to do with your favourite nursery rhymes so go ahead and get singing and crafting together with these ideas. 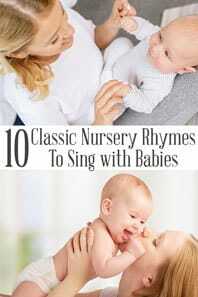 Before we dig down into individual rhymes from mother goose some general crafts and activities for you to use and read check out the complete list of Mother Goose nursery rhymes and you are likely to discover some that are new to you. 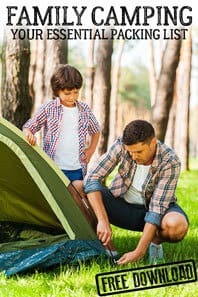 Want to use up some of that excess energy that toddlers always seem to have then these rhymes that get kids moving are fantastic for doing that. If your toddler is learning to count, then try singing together some of these counting rhymes. When your toddler and early preschooler is ready for writing then a great way for them to learn the letter formation is by tracing these Free Mother Goose Rhyme Copy-work Printables from Look! We’re Learning! can be printed out and laminated so that you could use a dry erase marker on them to trace over the words from your child’s favourite rhyme. Not sure of the words or looking for church group friendly rhymes then over at The Reading Mama there are Printable Nursery Rhymes to download and print. The first rhyme I sand with my kids when they were very young was Humpty Dumpty, the smile on their face as they fell through my knees on my lap as he fell off the wall and then the giggles that came as they got older meant that one of the first crafts we made together was Humpty Dumpty Sitting on a Wall and I do mean made together, two toddlers working together on the one project printing and painting alongside each other. After Humpty fell off the wall all the Kings men couldn’t put him back together again but maybe your child can with this cute DIY craft and jigsaw Humpty Dumpty from I heart Crafty things. 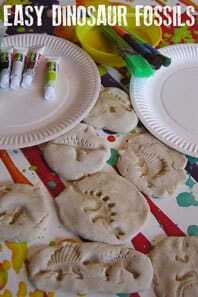 I’ve not tried this but this Egg Spalt painting from Adventures and Play looks a lot of fun especially if you had space or clean up area to do it in. 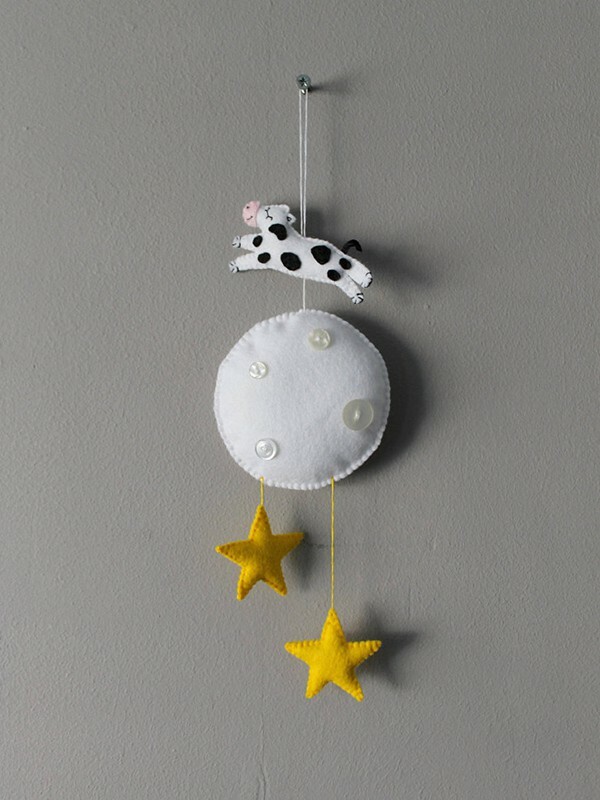 Whether you are crafting for Baa Baa Black Sheep or Mary Had a Little Lamb this simple toddler craft to make a little lamb is easy to do and is another craft that different ages can make together although I do recommend that each child has their own lamb to make. Why not try this Fine Motor, Yarn Wrap Sheep at the same time or use one for Baa Baa Black Sheep and the other for Mary Had a Little Lamb or how about Little Bo-Peep as well. And whilst you are singing “Little Bo-Peep” then try these Little Bo Peep Counting Worksheets from 123 Homeschool 4 Me to work on counting with your toddlers and early preschoolers. 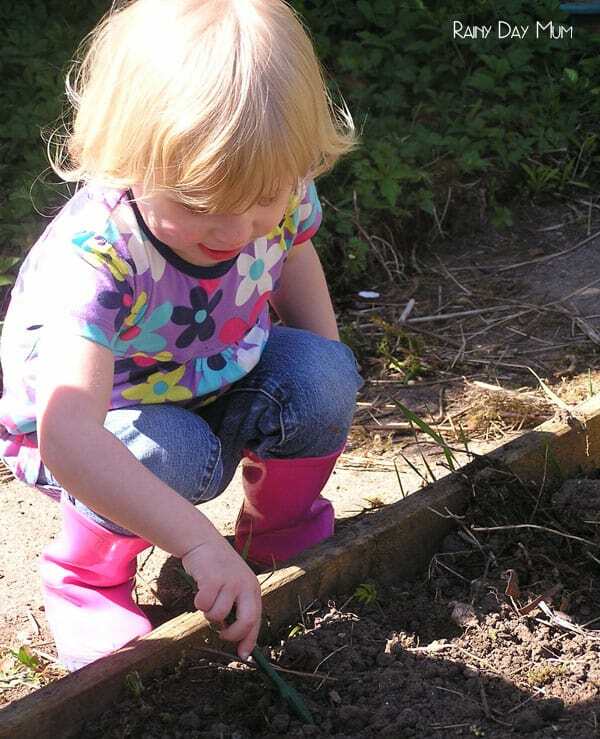 There are so many crafts and activities to do with toddlers based around that rhyme how about Magic Pop-Up Flowers from Kids Craft Room, growing your own plants with kids, these Quick Growing Plants are ideal as they grow quickly and we know how little patience toddlers have. Our letter recognition flowers are great to introduce and work with older toddlers and those that are ready to learn letters. You could also dye your own cockle shells and make pretty patterns with them. Hey Diddle Diddle is great for a variety of different crafts to make and activities to do with toddlers, you could make some Hey Diddle Diddle Popsicle Stick Puppets like these from One Perfect Day, or a Moo Cow Paper Plate Masks from ABC Creative Learning. 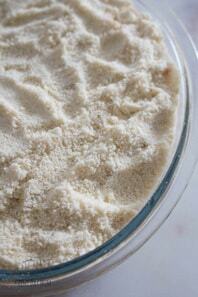 How about making a sensory bin like this Hey Diddle Diddle Sensory Bin from Mamas Like Me. 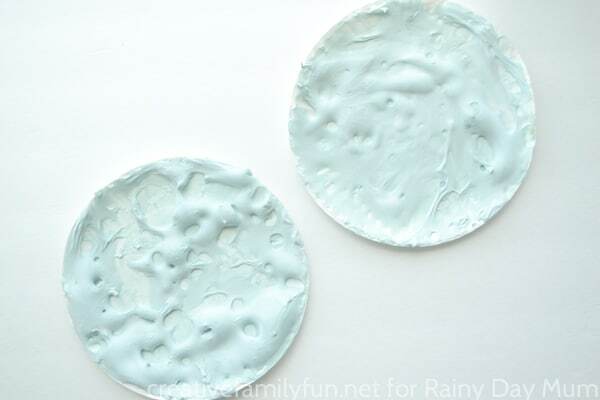 Make your own moon for the cow to jump over with our step by step guide to making your own puffy paint and moon. 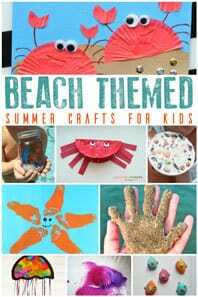 We love making body clocks to tell the time and started this when my kids were toddlers with easy to make times like 6 o’clock, 12 o’clock. You could of course make your own Hickory, Dickory Dock Pretend Play Craft following these instructions from Let’s Play Music and mouse and renact the rhyme as you sing it. You could always make this DIY Walnut Mouse from Red Ted Art to run up the clock or your arm such a cute natural craft that kids will love to make and then use when renacting the rhyme. Being British there is one rhyme that is VERY British, it relates to the symbols on our national crest, found on the back of our coins. The Lion and the Unicorn. To go with this very British mother goose rhyme you could create a hand print lion or a paper plate lion like I did with my two when they were toddlers. T made the hand print lion and J the paper plate lion. This Cupcake Liner Lion from Kids Activities Blog is another simple craft that toddlers can do and I bet if you look through your baking supplies you will have some yellow or orange liners to make this. 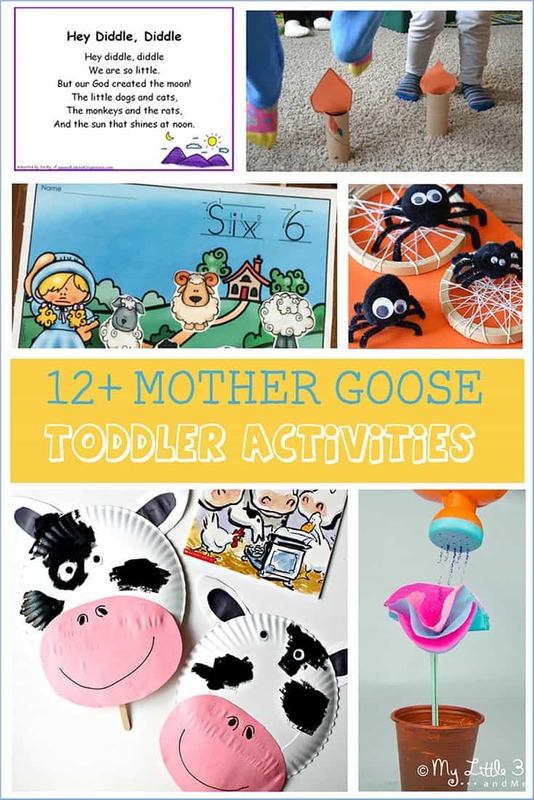 With so many rhymes I could do a separate post on each one and maybe I will but to finish off I wanted to share some of my favourite activities to go with other mother goose rhymes. Why not try this gross motor activity, Jack Be Nimble Candlestick Craft from Creative Family Fun maybe it will help to get rid of some of that engery that toddlers always seem to have especially near bedtime. If one Jack is nimble the other rhyme Jack and Jill certainly isn’t falling all the way down and breaking his crown! 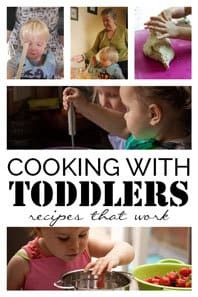 This early scissor skills activity for a Pail or Bucket Craft from Toddler Approved is a fun activity to do with toddlers to practice those cutting skills. Whether it’s Incy Wincy Spider or Little Miss Muffet this Silly Spider Craft from Easy Peasy and Fun would be great to make and then get outdoors and create your own GIANT Spider Web like we did with my kids. These products are affiliate products. As I said at the top, one of my most treasured books from childhood was my Mother Goose Treasury of Rhymes and although this isn’t my exact copy because that’s 40 years old now this version is beautifully illustrated and full of gorgeous rhymes. This Mother Goose toy recites 7 classic rhymes that children will adore. Growing up my brother had a Humpty Dumpty knitted toy that my mum had knitted him. It was a real favourite of his and then when J came along she knitted one for him the pattern is really similar to this one. 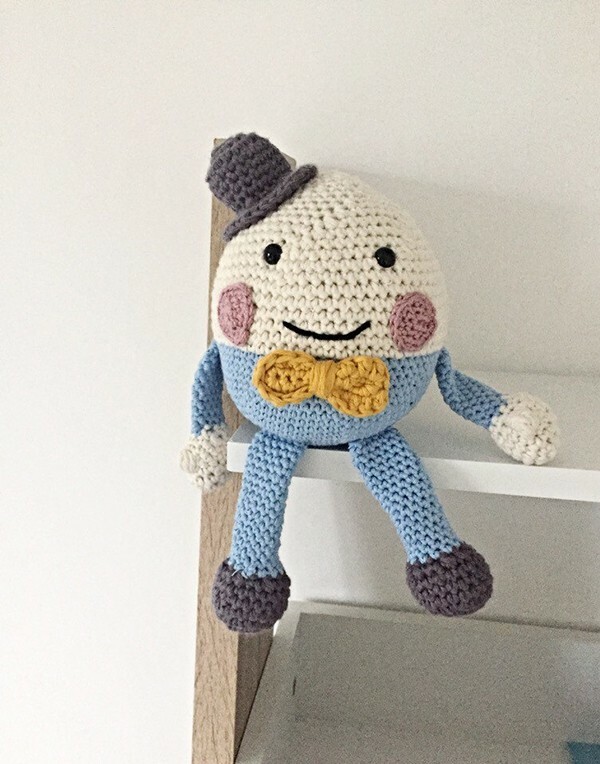 However, if you don’t know how to knit or have someone that can knit one for you this crochet Humpty Dumptywould be perfect to give to a new baby or 1st birthday gift. Many thanks! I was looking for new song ideas to do at nursery. I’d not come across the daffodils song before.